MONTROSE, CA (APRIL 13, 2019) – Vintage and historic race cars took to the streets of Long Beach Friday afternoon as the Historic IMSA GTO Challenge wrapped up qualifying at the Acura Grand Prix of Long Beach. Historic Motor Sports Association (HMSA) sanctions the Historic IMSA GTO Challenge and its top qualifying car was Craig Bennett of Millford, MIch., in his 1990 Nissan 300 ZX. HMSA President Cris Vandagriff has overseen the vintage portion of the wildly popular Southern California tradition nine times and said he’s always impressed and awed by the cars entered in race. The cars in the Historic IMSAS GTO Challenge are all be period correct race cars from 1980 through 1991 – helping to celebrate the 50thanniversary of IMSA. 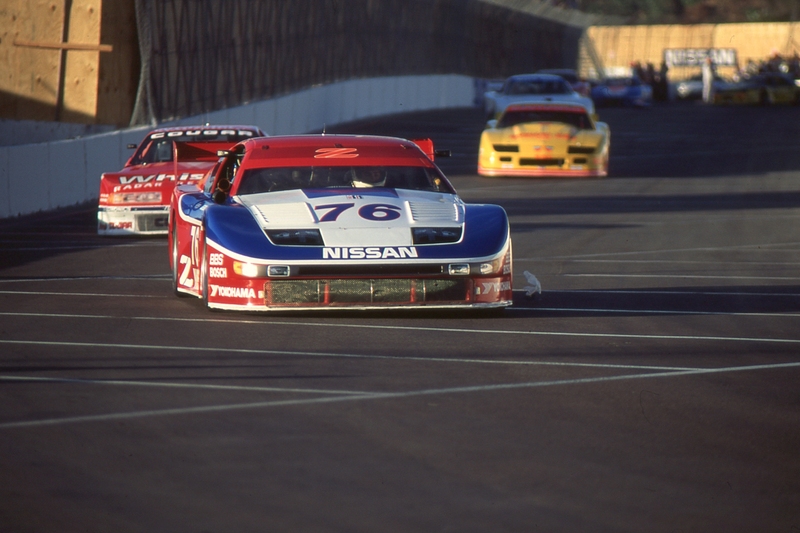 The race starts today at 5 p.m.
Steve Millen won with the #75 Nissan 300ZX in 1991 and his car is scheduled to race.